Forget everything about Norah Jones being a jazz artist. She’s a balladeer, plain and simple. Jones might have had daydreams of becoming Billie Holiday, but since her era-defining debut album slithered into the public imagination, she’s subtlety sashayed away from her smooth, jazzbo sound to become a ’70s-model singer-songwriter. She’s not there yet, but her new album, “Not Too Late,” demonstrates Jones’ growing sophistication, a darker tone and a maturity that takes Tom Waits, Bob Dylan and Gram Parsons as musical touchstones and not the Blue Note Records catalog. Once, Jones was the poster child for the nostalgia crowd seeking “real talent” among the younger generations. Now, Jones is quietly asserting her artistic independence and increasingly supplying the words for her perfect voice. She aspires to be more than just a dark-haired chanteuse. It’s remarkable that Jones is still here at all. Her breakthrough album, 2003’s “Come Away With Me,” was a monster hit of Hootie and the Blowfish proportions. The record netted an armful of Grammys and sold around 20 million copies, its pacifying sounds finding its way onto the shelves of Baby Boomers and college co-eds alike. Since the beginning of the downloading era, “Come Away With Me” has become one of the few mega-hits to exceed 10 million in sales. With the exception of Michael Jackson or Alicia Keyes, few artists have been able to endure after such overwhelming success. If you don’t think so, when was the last time you listened to a Shania Twain CD? Ever try selling your old MC Hammer album at a used CD store? Two things have kept Jones’ boat afloat despite the receding floodwaters. First, there’s her aforementioned musical progression, creeping forward at a glacial pace. Second, it’s Jones’ voice — big, fat and breathy — that continues to be one of pop music’s few flawless vehicles. Adept at heartache and rapture, it’s also one of the easiest voices to sing along to. Besides keeping fans enthralled, her singing has cast similar spells on a roster of unlikely collaborators. Jones has been invited to make guest appearances on albums by Outkast, the Foo Fighters and Peeping Tom, the latest experimental music project by ex-Faith No More singer Mike Patton. These cameos are just further evidence that Jones is keen to experiment a little and expand beyond just crooning to simple piano chords. What makes these cuts really special isn’t the guitars, but Jones’ sharper vocal approach. She sings each song’s verse with slight shifts in emphasis and is increasingly using refrains and prechoruses to add new twists to the formula. As an example, at key points in “Wish I Could,” her voice slides up a few notes and takes on an otherworldly quality to it. It’s these attributes that allow the songs on “Not Too Late” to graduate from the easy-listening and eager-to-please label where one can file some of Jones’ older material. Another curiosity on “Not Too Late” is “Sinkin’ Soon,” which is a kind of early 20th-century musical pastiche. The song is a kind of juke-joint hymn. The flick of a banjo and a mandolin and a tinny-sounding piano augment a drunken, stumbling melody. Jones sings like a cabaret singer who’s rallying this ragtime band as they’re headed to the ocean’s bottom. Meanwhile, an obnoxious, muted trumpet crudely laughs at their misfortune. Given her background, of course, Jones makes the most out of the record’s slow ballads. “Wake Me Up” is a steel guitar-dominated lament that easily bests much of what passes for top-tier material in Nashville these days. Jones gives one of the disc’s most varied and heartfelt vocal performances, evocative, in a low-key way, of Patsy Cline and Loretta Lynn. “Rosie’s Lullaby” and “Until The End” are the most obvious hybridized child of Waits and Dylan. “Until The End” has a soft, almost lunging chord progression that resolves itself with broad strokes, like a dance. With “Rosie’s Lullaby,” any sound — whether it’s Jones’ soulful vocals, the electric piano or some electric guitar chords — is left to resonate in the thick air above the sluggish rhythm. A steel guitar shadows Jones as she wearily entices the track’s namesake to surrender to the night. Surrender isn’t on Jones’ mind when it comes to “My Dear Country,” although it might appear so on first listen. The song is a wry political statement and the record’s only major solo piano performance — although the bridge does feature a small marching band horn section. In one sense, it’s the album’s only throwback to Jones’ early days. But given its subject matter — sure to disturb any red state listeners who’ve stayed with her since her halcyon days — and Jones’ stylish delivery, it demonstrates how far she has come. “Not Too Late” establishes that Jones is on the right track. Taking cues from her idols, Jones is increasingly sounding like herself and no one’s jazz singer. 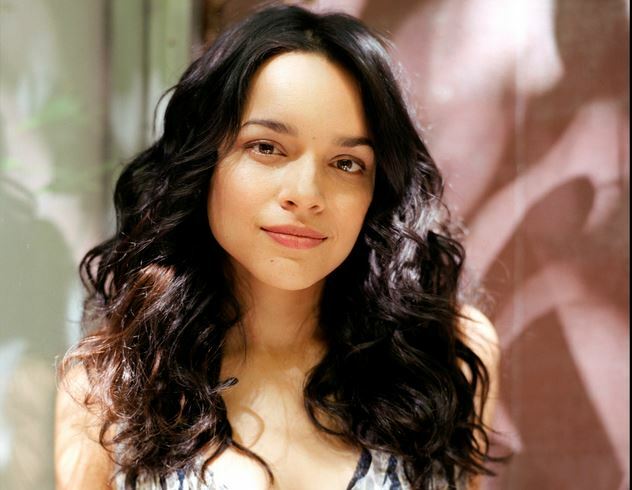 Tags: "Not Too Late", Norah Jones, review. Bookmark the permalink.